Last year’s batch of teens with attitude could be back in business. The Cowboy Ninja Viking movie has been indefinitely delayed. Jake Busey discusses carrying on his father’s legacy for The Predator. Slaughterhouse-Five is coming to TV. Plus, casting for The Man in the High Castle and Watchmen, and another look at the Charmed reboot. Go go power spoilers! 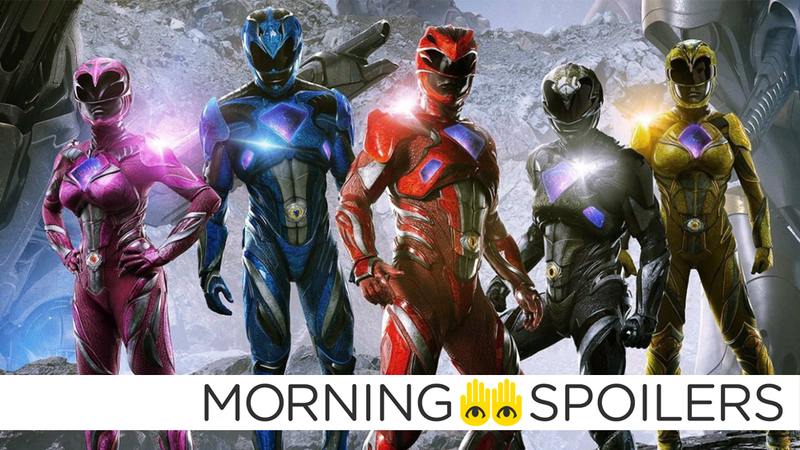 Inside Licensing reports Hasbro’s Allspark Pictures is now developing a new Power Rangers movie—one that is, interestingly, a follow-up to the 2017 reboot instead of a fresh start. Jake Busey spoke to Bloody-Disgusting about playing the son of Peter Keyes, Garey Busey’s character in Predator 2. He explained a bit about Predator 2 and my father. Of course, I was on the set when they filmed that movie. I was a kid. I was 17 maybe. I said sure, I’d love to do that. He thought it would be a good idea to make a callback to Predator 2 and add that element. We are friends on a social level so he knew about me whereas I don’t think any of the people at the studio did or would’ve thought of that. I owe lots of gratitude to him for creating the character and the hearkening back to Predator 2. I am not my father, nor will I ever be and I don’t think this character is really Peter Keyes reincarnated. This is a new thing. Chronologically it’s 30 years later so I think the big fun coincidences that happen were my dad was 46 when he shot Predator 2. I was 46 when we shot this one. It’s interesting. We’re both the same age in the Predator films. I’m playing his son so it’s the legacy. It’s the Peter Keyes legacy. A windswept shark swallows a flaming cannonball in the latest TV spot. A pair of new TV spots for the Charmed reboot turns back the clock somewhere between the years 1998 and 2006.